Bitdefender updated its GravityZone cloud console with new features that you may not be taking full advantage of. Here at Blue Solutions we are happy to guide you through these changes and how they will affect you and your customers. By activating this module, machines will be protected from all currently known forms of Ransomware. The Vaccine works independently, does not need any other modules to be installed, and is switched on simply by ticking the box in the customer’s policy. Update Rings - this feature allows Administrators of the program to choose when in the validation cycle an update is received. Posted in anti-malware, Bitdefender, Malware, Ransomware. Tags: Bitdefender, Security on 22/02/2017 by Mark Charleton. 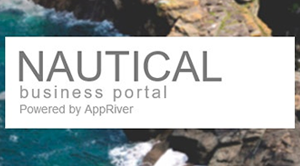 AppRiver’s Nautical platform makes all aspects of security service provision manageable from a “single pane of glass”. We look at the benefits. For security service providers, or resellers wanting to break into the MSP space, there is a double challenge at hand: selecting solutions whose performance will delight their customers, yet that are easy enough to “drive” on a day-to-day basis to prevent margins being eaten away by costly management overheads. This is why the appearance of AppRiver’s Nautical platform has set our antennae a-twitching. It promises a unified management console that enables service providers to deliver and manage a raft of cloud-based security solutions from one place, without the profit-sapping expense. Here are just a few ways in which that could benefit service providers and their business. Managing everything from under a “single pane of glass” is a seductive sell, but (I hear you say) doesn’t that just make for a crammed and complex window onto your world, which in turn drives management and admin costs up? But Nautical turns this on its head, by enabling role-based interaction, so that different users each have different views of what is under the pane and can exercise different levels of control over it – and this includes the end-users themselves. 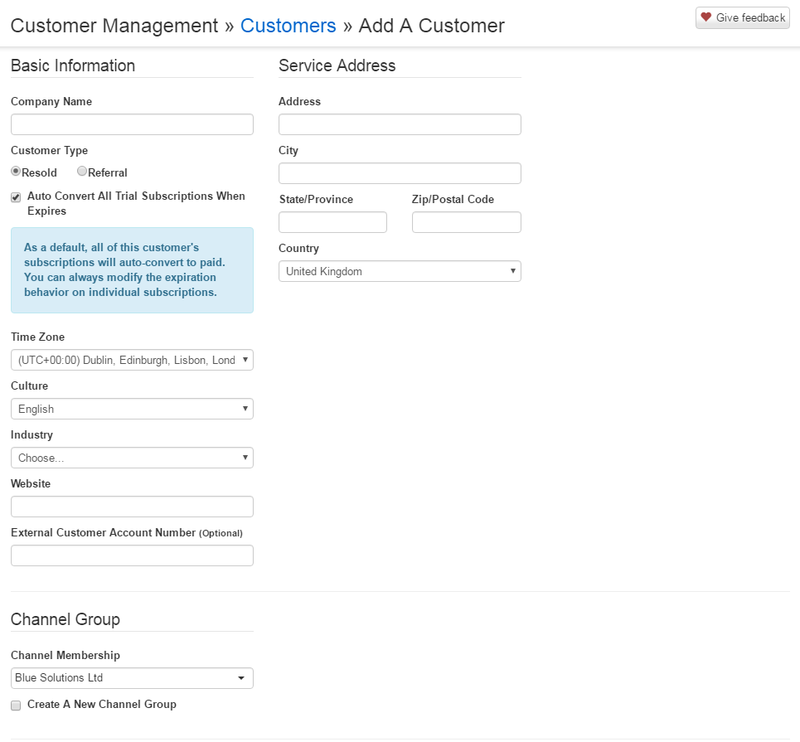 In this way, management workflows are made more targeted and efficient, but also flexibly devolved to customers where possible - taking even more of the admin burden off the service provider’s desk. Theoretically, cloud-delivered services can easily scale up to meet the needs of increasing numbers of end-users, thus supporting service providers’ revenue growth. But critical to this process is the ease with which those new users can actually be brought on board. All the cloud service capacity in the world is no money-spinner if it is difficult, time-consuming and costly to connect users to it. One of the killer new features in Nautical is a configurable user account management function that enables new users to be brought on board, and the overall user count to be increased, very easily. Previously, this would have entailed multiple workflows in multiple environments; using Nautical, however, it is now a far simpler (and therefore cheaper) process. To go back to a previous point, bringing on additional users also inevitably drives demand for more products and services. Any service provider that delivers on the first point but not the second is painting themselves into a corner. Nautical, however, makes it possible for both service providers and their customers to add and integrate new products and services with the kind of pick-and-mix agility you’d expect from something like an app store. But (I again hear you ask) doesn’t that, in itself, create another management challenge – namely, monitoring all those disparate products and services without excessive (and expensive) manual intervention? Here, too, Nautical comes up with the goods, thanks to its cross-product diagnostics that deliver a single, regular, unified application healthcheck to service providers’ customers and all the solutions they’re using. What else should you know about Nautical? Nautical has been described as “an entire channel programme in one portal”, but what’s really striking is that this deep integration across all aspects of security service provision comes at no charge. Nautical simply becomes automatically available when a service provider chooses to deliver AppRiver’s security solutions – including anti-spam / anti-virus, web protection, email encryption, Exchange and mailbox protection – and this of course covers existing AppRiver service providers, too. All in all, Nautical takes the hard work out of delivering MSP services that can really boost service providers’ bottom line, by making all business activities manageable from one place. Now that really is something you should know. Posted in AppRiver, MSP, Security. Tags: MSP, Security on 13/02/2017 by Mark Charleton. 2017 will see greater demand for security products than ever before. Backup and recovery are predicted to be big business for security channel partners! Security predictions for 2017 are coming thick and fast – and there’s little for businesses to be cheery about. “A major bank will fall as a result of cyber-attack,” the BBC relates in this article, whilst, at the other end of the scale, a solicitor has found itself embroiled in an email fraud scam that has, to date, left a homeowner £67,000 out of pocket. But it’s perhaps ransomware, explored in a previous post, that will see the most noticeable growth in 2017, and it’s a major factor driving businesses’ and security partners’ interest in business continuity solutions like backup and recovery. After all, if a business can reinstate critical backed-up data at will, ransomware loses much of its bite, and therefore its attractiveness to those who perpetrate it! 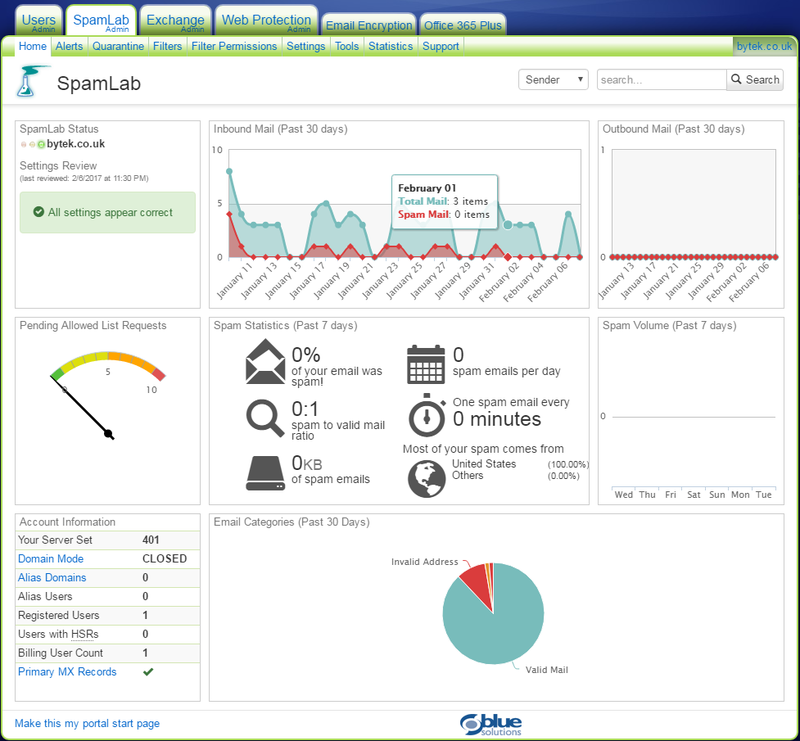 So what does an effective business continuity solution look like? True business continuity is about more than just security applications – there’s a whole host of cultural and organisational requirements too, as this basic guide from CSO Online explains. But from the solutions point of view, business continuity is basically about two things: reliable and bomb-proof (perhaps literally!) data backup, and rapid data recovery. Two metrics are critical, here: Recovery Point Objective (RPO) and Recovery Time Objective (RTO). The former dictates how much data a business could afford to lose before it caused any real and lasting damage – and therefore reflects considerations like how often backups need to be performed, what volumes and formats of data need to be involved, and how robust the backup environment is. The latter dictates how rapidly that backed-up data can not only be accessed (hint: off-site tapes just don’t cut it any more!) but actually redeployed in a form that the business’s hungry systems can once again get to work on – not just files and folders, but settings, too - to get the business back on its feet post-incident. Between them, these two metrics hinge on a host of solution capabilities that can be problematic. For example, one oft-cited issue is that when backup and recovery data is being streamed back into a stricken business, the data can’t be accessed or used until the recovery process is complete – and that can take many precious hours, days, or even longer. Unhelpful. 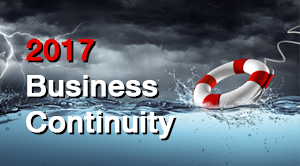 What’s the appetite for business continuity solutions in 2017? Nonetheless, business continuity has been a problem crying out for a solution for a long time before 2017; ransomware has simply put an especially shrill edge on it! Scary statistics abound; did you know, for example, that according to a study by Onyx Group, 71% of UK SMEs only ever manage to back up part of their data? Or that 75% of SMBs have no disaster recovery plans in place at all? But even more terrifying, when considered in the light of the ransomware issue, is that, according to one estimate, 58% of small businesses could not withstand any amount of data loss whatsoever! Think about that for a moment. It means the hackers’ job is made much, much easier. Even holding the slightest amount of a business’s data to ransom could easily provoke a payout. Minimum effort, maximum return – which means more hackers getting involved in this kind of activity in the future, of course! Not for nothing is the Business Continuity Institute’s agenda focused “overwhelmingly” on cyber-resilience in 2017. Where can I check out the latest business continuity solutions? Clearly, what we’ve said above also means that the competitive landscape for security partners in this space is going to become challenging. But for an insight into how one backup and recovery solution is evolving to deliver both strengthened protection to end-users and a more compelling proposition to the security partners who sell to them, take a look at this data backup and recovery features update. And keep watching this series of blogs – we’ll be looking at a whole range of security solutions for 2017, covering email, web, cloud, data centre, and Office 365. Posted in Backup, Business continuity, Disaster Recovery, Security. Tags: Backup, Business Continuity, Security on 06/02/2017 by Mark Charleton.